The stunning and award winning actress, Karen Gillan is building her professional life whereas keeping her personal life mysterious. The beautiful award-winning actress, Karen Gillan is listed as one of the top 100 sexiest women and there are thousands of men who are crazy for her and wants to date her. But is Karen single or dating these days? And if she is then who is her boyfriend? If you guys are curious to find the answer to these questions then you must read the article below!!!!!!! Karen often makes headlines relating to her personal affairs. But this time the diva has remained quite silent and mysterious about her relationship. As of now, there is no news of her dating or having a boyfriend and is possibly single these days. So, her relationship status is more suspicious and is quite confusing as she might and might not be dating at the same time. 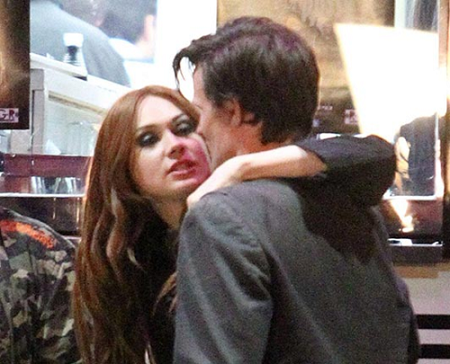 Previously Karen was rumored to be having an affair with her co-star Matt Smith. The couple met on the set of "Doctor Who" and with their amazing on-screen chemistry, people started speculating their off-screen relation as well. It's been almost two years that they spotted many places together hugging and holding hand but they never confirmed their relationship and always denied. So, their relationship is quite confusing to the audiences. Similarly, Karen was also rumored to be with the actor, Andrew Brooke who gave a guest appearance in the series, Doctor Who with her. Karen has spotted lip locking and spending time not with Matt but this time it's, Andrew. Quite surprising, isn't it? But they were only spotted once and were never spotted together after. Karen was in long run relationship with the photographer, Patrick Green. The couple always keeps them far from the media and limelight and were rarely spotted together. 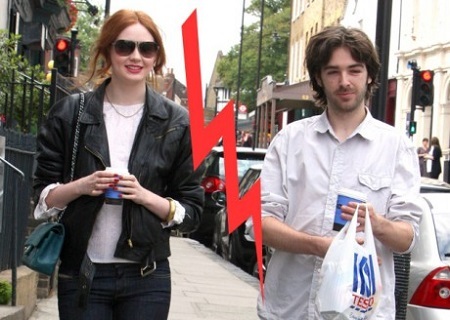 However, they had confirmed about their relationship in the public. But the day when Karen returned from New York after filming the drama called We'll Take Manhattan was the worse day for the couple. As the couple broke their six years relationship and are not ready to express the reason to the media. Karen is the women of the 21st century and is more focus on building her career rather than personal life. She began her career from modeling but is more interested in acting. She started appearing her career through various series with a guest role including Rebus, The Kevin Bishop Show, and others. After that, she featured in the Channel 4 movie, Stacked and later played the lead role in the horror movie, The Well. Furthermore, she started appearing in many movies and series including- Donmar Warehouse, The Eleventh Hour, The Fires of Pompeii, Oculus, Not Another Happy Ending, The Big Short and much more. In 2016 and 17, she worked in the movies including, Guardians of the Galaxy Vol. 2, The Circle, Jumanji: Welcome to the Jungle. Not only this she also signed for the movies which are not released yet like- Avengers: Infinity War, Untitled Avengers film and others. Besides, acting she flourished her career in the direction field as well, She directed her first short movie named, Coward which was nominated for several awards. She also wrote and directed a short film called, Conventional. Born on 28th November 1987 in Inverness, Scotland. Karen is the only child of Marie and Raymond and was raised in Inverness in the Scottish highlands. Completed HNC Acting and Performance course from Telford College. Earned a Bachelor degree of Arts in acting from Italia Conti Academy of Theatre Arts drama school. Began a career as a model. Appeared in theatre play before appearing on TV. Worked in The Kevin Bishop Show with stars Kevin Bishop, Karen Gillan, Oliver Maltman, Hollie-Jay Bowes, Jim Howick with Katy Perry and Angelia Jolie as the ensemble cast. Featured in the American sitcom, Stacked with cast Pamela Anderson, Christopher Lloyd, Elon Gold, Marissa Jaret Winokur and Brian Scolaro. Won best actress award for the various movies. Worked in Jumani: Welcome to the Jungle with cast Dwayne Johnson, Kevin Hart, Karen Gillen, Jack Black, Nick Jonas, Madison Iseman, Alex Wolff and others. For more updates follow our page!!!!!!!! !